Individuals with poor knowledge of osteoporosis and lower socioeconomic status, including being single and having a lower level of annual income, are less likely to be assessed or treated for osteoporosis. Individuals with particular osteoporosis risk factors such as smokers and heavy drinkers are overlooked for diagnosis. Further study is needed to identify and address the existing barriers and to promote osteoporosis management for women with these risk factors. Despite the negative health consequences of osteoporosis and the availability of effective treatment, a pervasive and persistent prevention care gap for osteoporosis remains present throughout the world. We attempted to identify the factors affecting the willingness of patients to either undergo or avoid assessment and treatment for osteoporosis. A nationwide online survey was conducted in 926 Korean women over age 50. 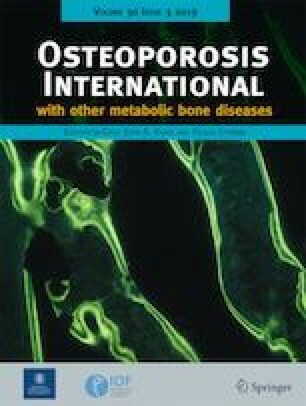 The survey included questions addressing three domains: (1) clinical and socio-demographic characteristics, (2) questions concerning the reasons for undergoing or avoiding osteoporosis assessment or treatment, and (3) knowledge of osteoporosis as measured using the modified Korean version of Facts on Osteoporosis Quiz. The assessed and non-assessed participants were compared in terms of their clinical and socioeconomic statuses, reasons for undergoing or avoiding osteoporosis management, and levels of knowledge of osteoporosis. The highest-ranked reason for undergoing osteoporosis assessment was fear of osteoporotic fracture, while the highest-ranked reason for avoiding osteoporosis assessment was not feeling a need to get tested for osteoporosis. 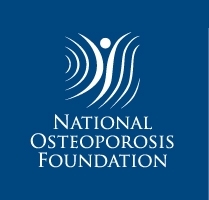 Participants who sought assessment for osteoporosis were older and more likely to be married, and had greater knowledge of osteoporosis than those who did not seek assessment. The two groups were found to be similar in terms of tobacco use and daily alcohol use. Patients who had been diagnosed with osteoporosis but either did not initiate or discontinued osteoporosis treatment within 1 year were younger and had lower levels of annual income than those who began and continued treatment. Individuals with poor knowledge of osteoporosis and those of lower socioeconomic status, including those who were single and had a lower level of annual income, were less likely to be assessed and treated for osteoporosis. Individuals with particular osteoporosis risk factors such as smokers and heavy drinkers are overlooked for diagnosis. Further study is needed to identify and address the existing barriers and to promote osteoporosis management for women with these risk factors. Y. H. Roh and E. S. Lee contributed equally to the work The authors thank the Korean Society for Bone and Mineral Research for supporting the online survey. This study obtained the ethics approval from the ethical committee of the Ewha Womans University Medical Center.